OBSERVATION: Sometimes you can’t trust the people closest to you with matters of the heart. And after this case, Mori may never trust Lock again (goodreads). Lock & Mori was a fun reimagining of two classic characters, with some pretty mature themes. Plot: Lock & Mori is a brilliant and emotional read that really took me by surprise. I'm the 1% that doesn't know much about Sherlock Holmes nor do I care to learn more, so I can't speak to how "Sherlock Holmes-y" Lock & Mori felt. I do know that I enjoyed the mystery, especially because there wasn't the big "a-ha" moment that I had come to expect in most mystery novels. Lock & Mori had a great mystery, but the bulk of the book dealt with the consequences of the murders as well as the motivation. Characters: Although the title is Lock & Mori, this is a Mori-centric novel. Each chapter is told from her perspective and Lock serves more of a supportive character. I thought Petty's portrayal of both characters and how their relationship evolved. Lock is very quirky and awkward which I found endearing. I was mostly fascinated by Mori's observation of him. There is an obvious attraction, but their relationship isn't that simple. Mori is a tough girl, mostly because she has to be, and it's clear how past influences her decisions. While I enjoyed the mystery, it's the push and pull between Lock and Mori that kept me reading. World Building: Lock & Mori takes place in three main places: Regent Park, Mori's home, and the high school. I found Mori's home to be the most fleshed out and well-used setting in this novel. The diversity of this novel is great! 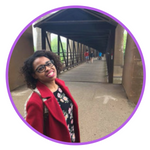 There is diversity among race and sexuality which makes me really hopeful for the future of diversity in YA books! 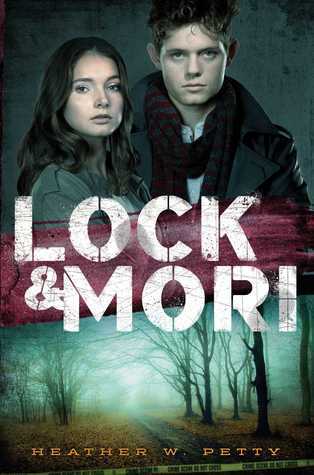 Short N Sweet: Lock & Mori is unlike any murder-mystery YA book you've read. This will be a pleasant surprise for anyone familiar with the duo.